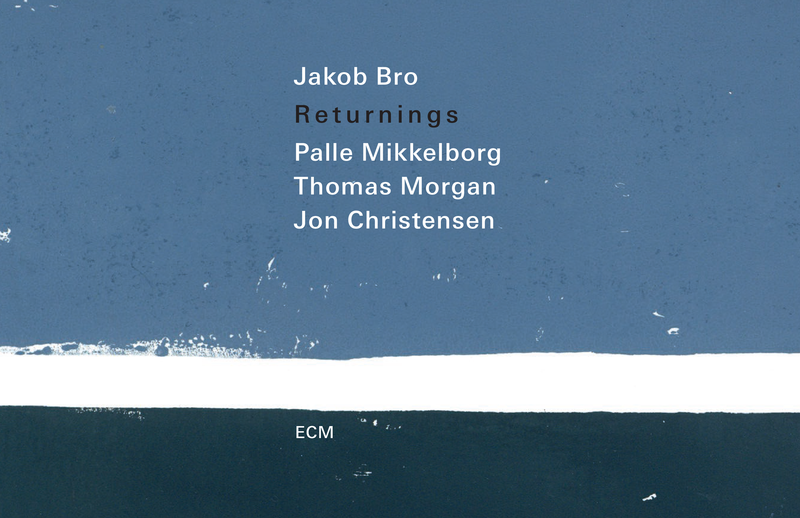 On Returnings, Danish guitarist Jakob Bro and his band take their time. Bro’s music is not about flash and bravura; it subtly floats through quiet details, creating sound paintings of depth, warmth and beauty. Bro is joined on this set by three like-minded admirers of musical soundscapes. Trumpeter Palle Mikkelborg’s impeccable taste and tone are highlighted on tunes like “Oktober,” where he plays warm, muted cornet, and “Youth,” where his trumpet suspends and breathes an aching embrace. Bassist and longtime Bro collaborator Thomas Morgan offers his delicate touch along with drummer Jon Christensen’s raindrops of beauty on tunes like “Strands” and “View.” As a leader, Bro clearly enjoys being part of an ensemble where the music and compositions shine. The interplay between the group on “Lyskaster” is a perfect example. Mikkelborg and Bro lead and follow each other through the melody of this soulful, aching ballad while Morgan and Christensen provide rustling accents behind them. Most of this album has an acoustic, organic sound, but the title track is an exception. Here, Bro and brethren take a darker, electronic tack; it’s an unusual addition to the program, but it works. As a whole, this is a recording to be savored during life’s quieter moments. It’s a great listen to ease into or out of a long day. It’s music to escape into on the weekend; it’s music you can come back to again and again.